As the About.com economics expert, I get quite a few inquiries from readers about the best graduate schools for those pursuing an advanced degree in economics. 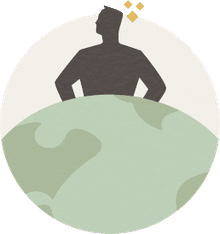 There are certainly quite a few resources out there today that claim to give the definitive ranking of graduate programs in economics around the world. While those lists might prove helpful to some, as a former economics student turned university professor, I can say with great certainty that choosing a graduate program requires so much more than arbitrary rankings. So when I'm asked questions like, "Can you recommend a good economics graduate program?" or "What is the best economics graduate school? ", my answer is usually "no" and "it depends." But I can help you find that best economics graduate program for you. Before moving forward, there are a couple of articles you should read. First is an article written by a professor at Stanford, titled "Advice for Applying to Grad School in Economics." While the disclaimer at the start of the article reminds us that these tips are a series of opinions, but that is generally the case when it comes to advice and given the reputation and experience of the person giving the advice, I would have to say, have no dear. There are plenty of great tips in here. The next recommended piece of reading is a resource from Georgetown with the title "Applying to Grad School in Economics." Not only is this article thorough, but I don't think there is a single point I disagree with. Take Advantage of Your Undergraduate Resources: Ask the professors who are writing you recommendation letters where they'd apply if they were in your position. They usually have a good idea of the schools at which you'll do well and which ones may not be suited to your strengths and interests. Of course, it never hurts when the selection committee at a school knows and respects the person writing your letter of recommendation. Even better if your reference writer has friends or former colleagues on the selection committee at that school. I do have one disclaimer on this subject: Don't choose an undergraduate reference solely based on their reputation or their network. An honest and personalized letter from someone who can specifically speak to your strengths as a candidate is always better than an impersonal one with a famous signature. Rankings Aren't the Most Important Decision-Maker: That is to say that I don't suggest that you apply to just the highest ranked schools. In fact, many would agree when I say that this is one of the biggest mistakes you can make in the application process. If you're interested in studying time-series econometrics, apply to schools that have active researchers in that area. What's the point of going to a great theory school if you're not a theorist? Don't Put All Your Eggs in One Basket: Apply to as many graduate schools as reasonable. I'd recommend applying to about ten schools. I've seen a lot of terrific students only apply to top-ranked schools or their first choice and not get accepted to any of them. Find your dream school(s) and your more reachable schools and build your list from there. And while you certainly don't want to focus on possible failure, make sure you have some backup plans. Have an idea of what you might do should you not be accepted into a graduate this year. If pursuing an advanced degree in economics is your dream, make sure that your plan B is something that only strengthens your candidacy for the next application cycle. Do Your Research: As an economics student, you should be no stranger to research. But your economics graduate school search should not be limited to the internet or your undergraduate college counseling office. Talk to current graduate students at the school you're thinking about attending. They'll usually tell you how things really work in their department. While talking to professors can also be enlightening, make a mental note that they have a vested interest in you applying to their school, which can greatly influence their opinions and advice. If you do choose to talk to a member of the faculty, try to get some sort of introduction. Contacting a professor unsolicited can a great source of annoyance, and why take a chance when this person might wield the power to say yes or no? Consider Size: In my opinion, the size of the school can be just as important as its reputation. When approached for advice, I generally encourage prospective students to consider applying to larger schools. This is not to say that smaller schools are not worth your consideration, but you must always weigh the risks and rewards. Smaller departments are more likely to be negatively impacted with the departure of one or two key faculty members. So go ahead and apply to the program that boasts your dream professor among its ranks, but also look for schools that have three or more active researchers in the area you are interested in. That way, if one or two leave, you'll still have an advisor you can work with. So you've read the articles from Stanford and Georgetown, and you've made notes of my top bullet points. But before you jump into the application process, you may want to invest in some advanced economics texts. For some great recommendations, be sure to check out my article "Books to Study Before Going to Graduate School in Economics." These should give you a good idea of what you need to know to do well in an economics graduate school program. It goes without saying, best of luck! How Do I Choose the Best Philosophy Ph.D. Program?